Thumb MRI offers the area's largest and most comfortable Breast MRI exam. Our 71 cm Wide Open Bore MRI offers up to 100% more clearance for higher profile coils that breast exams require. Breast MRI is one of the safest and most comfortable imaging tests available. It uses magnetic ﬁelds with no radiation to obtain over 3000 images of the breasts. MRI is very helpful with difﬁcult, suspicious or dense mammograms, especially in the 30-65 year old age group. In recent years Breast MRI has become an important addition to ultrasound and mammography. With sensitivity near 100% for detecting invasive cancer as small as 3 mm, early discovery will save lives and reduce the cost of treatment. Breast MRI is often used for evaluating patients with dense breast tissue, breast pain, breast discharge, ﬁbrocystic breast disease, or patients with a personal or family history of breast cancer. It is also used in conjunction with mammography or ultrasound for clariﬁcation of inconclusive or abnormal ﬁndings. Breast MRI can also be used for the evaluation of implant rupture, radiation/chemotherapy treatments and searching for primary breast cancer in patients with lymph node disease. We ask that you bring all Mammogram, Breast Ultrasound, Thermoscan and Nuclear Medicine ﬁlms from the last 5 years with their respective reports at the time of your exam. You will also need to bring pathology reports from any biopsies. We suggest that you wear comfortable clothing such as sweat pants for your exam. Any metal objects on your person (rings, earrings, hair clips, etc.) must be removed. Our ofﬁce will direct you in the proper way to schedule your appointment based on your menstrual cycle and/or hormone replacement therapy. • You have any metallic fragments in your body. • You have ever worked with metal. • You have metal dental ﬁxtures. • You have a cardiac pacemaker. During your examination you will lie on your stomach. Unlike mammography, MRI does not require your breasts to be compressed. A technologist will then center you inside the magnet and run scans before and after the administration of IV contrast. If at any time you feel uncomfortable, you can relay your concerns to the technologist via a two-way communication system. Most exams last no longer than 30 minutes. In order for us to acquire the best images, it is imperative that you lie still during your exam. You may want to avoid drinking coffee or caffeinated beverages prior to scanning so that you will be able to lie still inside the scanner. Why do I have to be injected with Gadolinium? Contrast (Gadolinium) enables the radiologist to see and interpret small lesions. It is essential to properly evaluate breast tissue. Will my insurance pay for my Breast MRI? What happens following your exam? 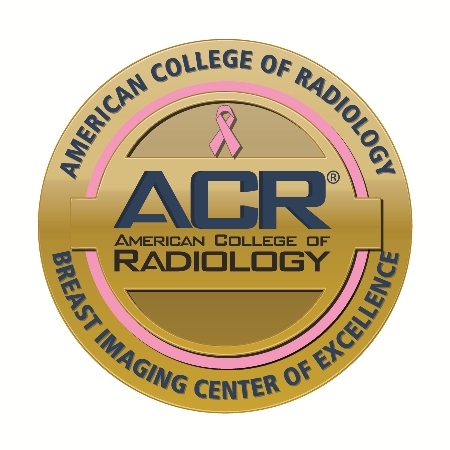 When your examination is complete a Board Certified radiologist, who specializes in Breast MRI, will review your images and prepare a report for your doctor.